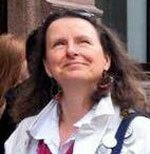 Mary Applegate awoke with a lump of fear lodged in her throat. There’s someone in my room. She lay still as a corpse, sensing for the presence – the thing – she felt sure was watching her, but all she heard was the whisper of trees and the distant screech of an owl. There was nothing to explain the sense of unease plucking at her nerves. Nothing except a faint coppery smell, like warm blood. Twelve-year-old Hazel Hooper has spent her whole life trapped in a magical Glade created by her mother, Hecate. She's desperate to meet new people and find out about the world. And, more than anything, she wants to be a witch. But when her mother is kidnapped by a demon - everything changes. Suddenly Hazel is alone in the world. Well . . . not quite alone. For it turns out that Hazel does have magic - she's just not very good at controlling it. And she may have accidentally created a grumpy familiar in the form of a dormouse called Bramley. Luckily for Hazel she manages to enlist the help of a handsome boy called David, and his drunken master, Titus White, who are expert demon hunters. And witch finders . . . I am easily tempted by alternative histories – and if you add magic and brave heroines, I’m doubly enticed. 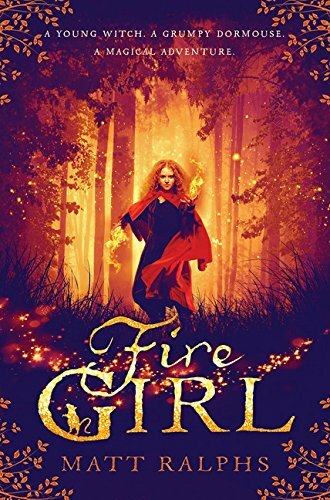 So Fire Girl set in a parallel England after the Civil War – complete with witch-finders and flintlock pistols was bound to appeal. You can get a sense of the world that Hazel inhabits in the trailer – and her powers. Fire Girl has some pleasing elements in common with Amy Butler Greenfield’s Chantress series – but for a younger readership. The demons and witches in this story make you question who’s good and who’s bad. Watch out for double-crossing and deception! There’s lots of action to keep you reading, and plenty of friendship and humour. It’s only fair to point out there are moments of horror with a light touch of H.P. Lovecraft in there. It will definitely suit the readers of Joseph Delaneys’ Spooks books or The Grindle Witch by Benjamin J. Myers. I should warn you that there’s something of a cliff-hanger at the end – and you’ll have to wait until August for the sequel Fire Witch. Slightly off-topic but it was a pleasure to find a book that emerged from SCBWI’s ‘Undiscovered Voices’ project. He said he wanted to write the same sort of fast-paced, characterful, dark and scary book that he read as a child, and still loves as an adult. I’d say he’s succeeded.